The fans love for actor Mohanlal is known for everyone. 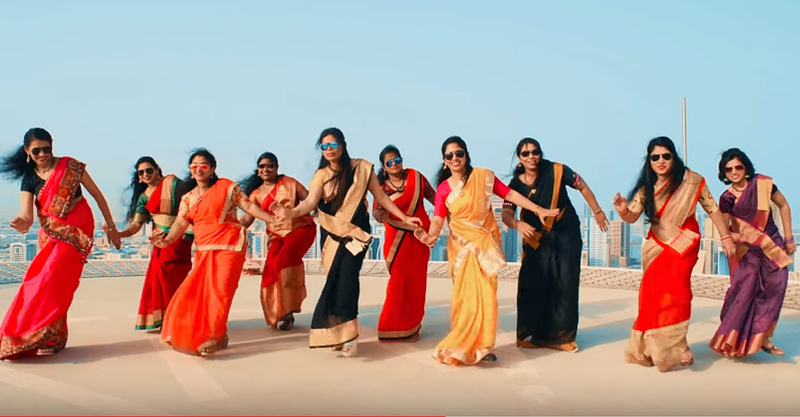 this time its from 10 housewives in UAE expressed their love to great actor through a dance video. the video starting with the song’ Nenjinakkatee lalettan’ have a number of evergreen songs of mohanlal. the dance video is been released as a gift for the actors birthday. Ann JOshua has done the choreography and direction of the three minute video. amal has done the editing. Ajmal hassan has done the cinematography of this tribute dance video.even this video making concept fro fans is common but this attempt is been getting wide acceptance.